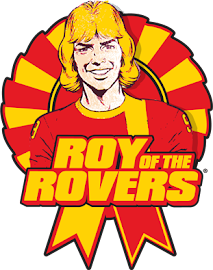 London, June 2010 – Egmont, the UK’s specialist children’s publisher, today announced the launch of a one-off souvenir special edition of the much-loved Roy of the Rovers comic. The comic will be hitting newsagents and supermarkets across the UK during the World Cup in South Africa. 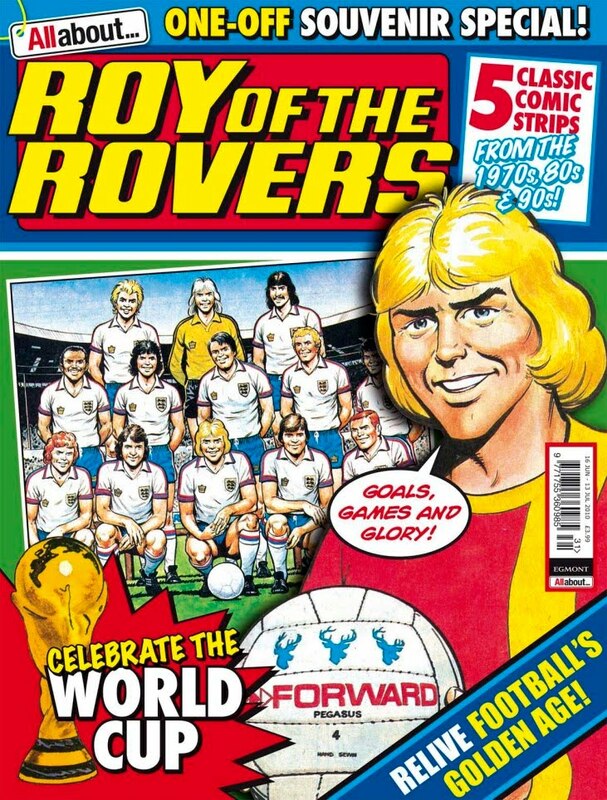 The World Cup special issue will be a fantastic 52-page colour comic, with 5 classic strips from the 70’s, 80’s and 90’s era. The comic gives old and new football fans a chance to relive football’s golden age and follow Roy Race through three of his most memorable matches. Melchester Rover’s star player Roy Race, a childhood idol to thousands of England supporters, will appear in this issue alongside luminaries from the 1970s such as Trevor Francis and Malcolm “Supermac” Macdonald. Roy’s off-field adventures include being kidnapped in South America, and following how the famous star will cope when his Racey’s Rocket shots start missing the mark. 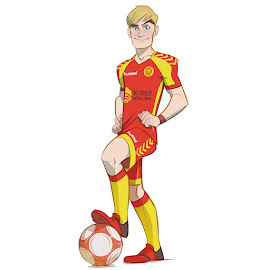 Along with covering the many adventures of Roy Race, the comic will also follow the thrills of 1990s era football, with the 16 year old Playmaker Andy Steel and the infamous rapping goalie as he plays against Italy’s finest in Goalmouth. 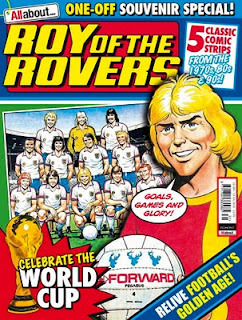 The new Roy of the Rovers World Cup special issue will go on sale the 16th June 2010 at Tesco, ASDA, Sainsbury’s, Morrisons, Co-op, WHS High Street and WHS Travel along with all good newsagents - priced at £3.99.